Most pet owners, especially cat owners think of supplying their furry pals with additional supplements. On the contrary, many others ditch this idea, thinking that it is just a waste of money. Well, how much each fact stands right when it is all about the health of your furry pal. Bringing both the perspectives of two groups of cat owners on a single platform, veterinary community states that it is highly essential to put your cat on supplements whenever required. Among various others, there are a few supplements that are predominant in dog’s food and few others in cat food. 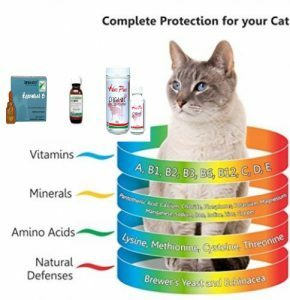 Aligning to this, with a vast array of various health supplements available on the market, most cat owners presume that it is quite crucial to put their feline friend on supplements. However, pet parents need to understand that though supplements have to be added to their daily diet, it is essential to find out which of them do their feline partner require. Nevertheless, supplements are highly essential and form the big proportion of the health diet. Let us find out in detail about the most common health supplements for cats. Digestive enzyme is highly required to improve digestion process and helps in optimal functioning of digestive tract. A few cats, either due to age or some critical health issue, face digestive conditions, where they are not able to synthesis the food and completely digest it. This resulting in chronic vomiting or diarrhea health issues. Moreover, due to this, cats body system is not able to commingle the nutrients and absorb it completely. In such conditions, digestive enzymes are highly crucial and should be given to felines. Digestive enzyme supplements support digestion and improves digestive process. These are greatly used for sensitive digestive tracts. Most pet parents think that providing a cat food is all enough for a cat’s health. But, does that cat food provides all the vital multi vitamins that your cat requires for optimal health. Most cat food, as stored for a longer time on the shelves, can lose some of its nutritional value. And, for cats with special needs do require more nutrients. A normal diet would not be able to supplement all the essential vitamins. Therefore, multi-vitamin supplements have to be the part of their daily diet. In cats, essential fatty acids namely omega 3 and 6 fatty acids play a pivotal role in maintaining brain function at the optimal like in humans. Most processed cat food has passive DHA and EPA due to commercialization. And, this gives rise to the requirement of Omega-3 DHA essential fatty acid supplements for cats. This nutritional supplementation is highly efficient as it decreases body inflammation, relieves from joint pain and arthritis, lessens allergic reaction, support a healthy coat and slows down aging process. Normally, probiotics on large scale are in low proportion in cat food. The essential fact is this supplement helps digestive system, eases digestive upsets and improves immunity. Probotics largely benefits aging cats as their digestive functionality is weak. The supplement supports digestive system to retain nutrients ingested from foods in senior cats. Many times felines are on antibiotics because of a disease, and with probiotic supplementation, it regains health faster. A good probiotic in your cat’s daily food takes a good health a long way. Joint supplements are inevitable part of your cat’s diet. When given during growing stages, it helps to strengthen bones and lowers the wear and tear of joints due to normal tendency. In aging cats, joint support supplements tend to relieve joint pain and controls further damage of joints. 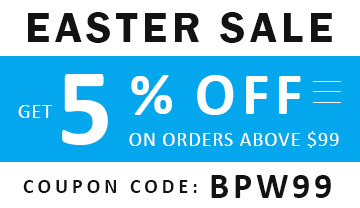 It improves mobility and boosts joint health lowering arthritis symptoms. 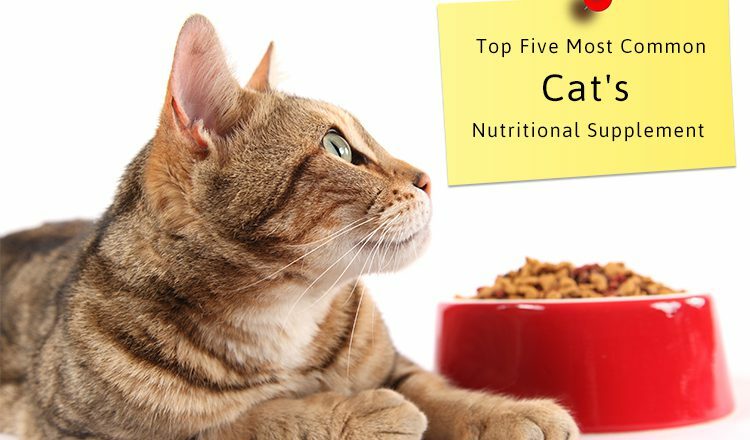 These are the most common and vital supplements that are highly beneficial in maintaining cat’s optimal health. However, before putting your feline friend on any supplement program, check with your vet whether it’s a good idea for your cat or not.